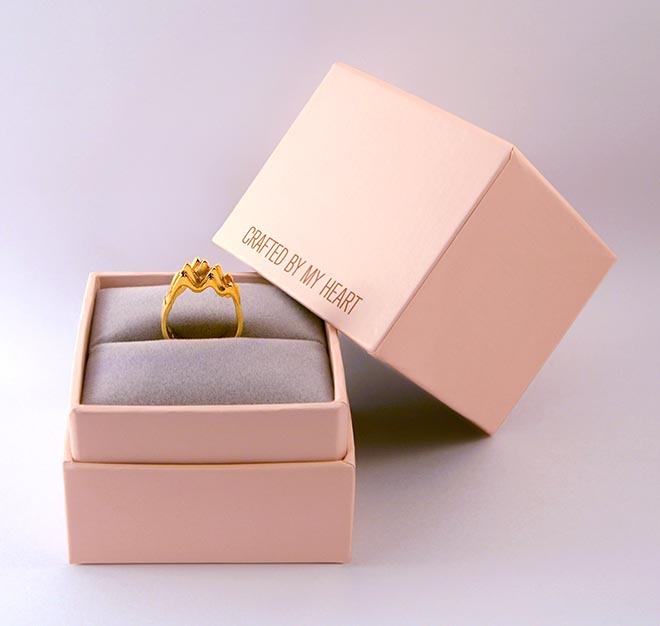 Marketing and advertising agency DDB Group Hong Kong has launched CRAFTED BY MY HEART, an iOS jewellery design app that lays down the rhythm of your heart as a one-of-a-kind gold, silver or black silver (gunmetal IP) ring. 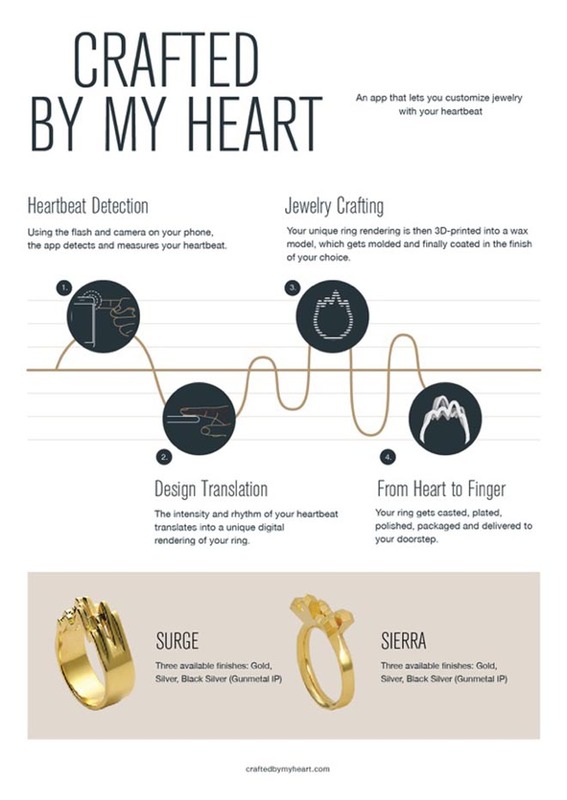 The app offers a choice of two unisex design templates, SURGE and SIERRA, that are customised by your heart beat. Each ring is assigned a different algorithm to ensure that no two pieces are alike. All you need is a smart phone, with the free app downloaded from the iOS App Store, to create a gift that is, quite literally, from the heart. 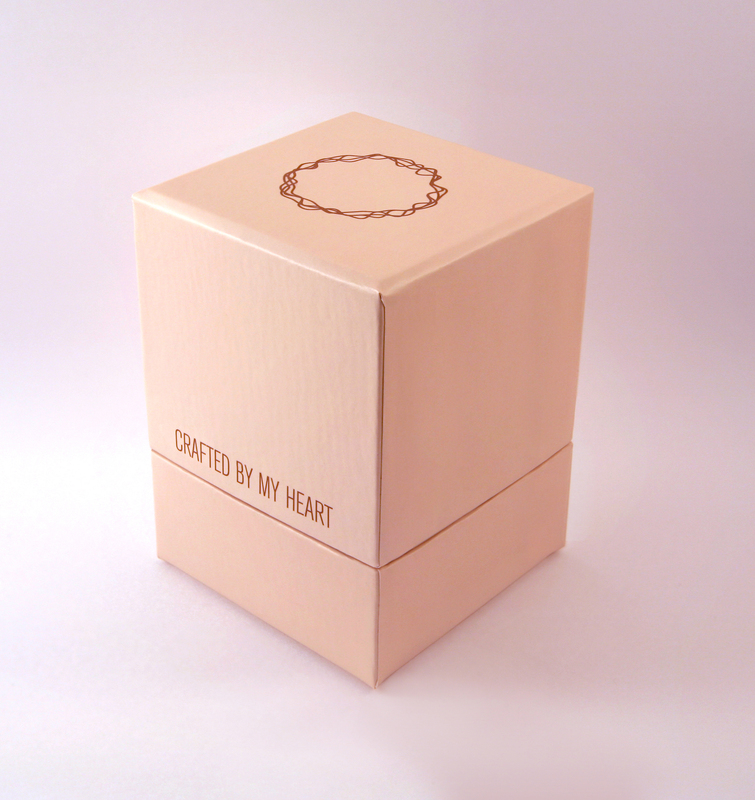 The Crafted By My Heart project is online at craftedbymyheart.com, with the app available on the iOS App Store. 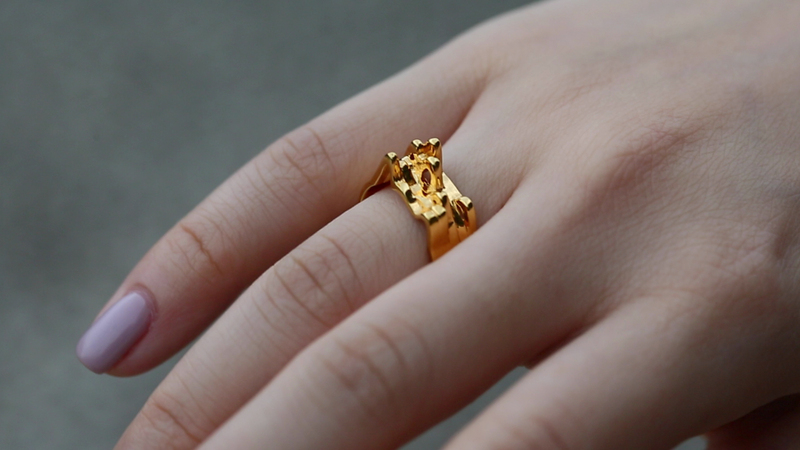 Depending on the finish, rings cost between HK$1,198 and HK$1,588 (US$155 and US$205), and take around 15 to 20 working days to complete. 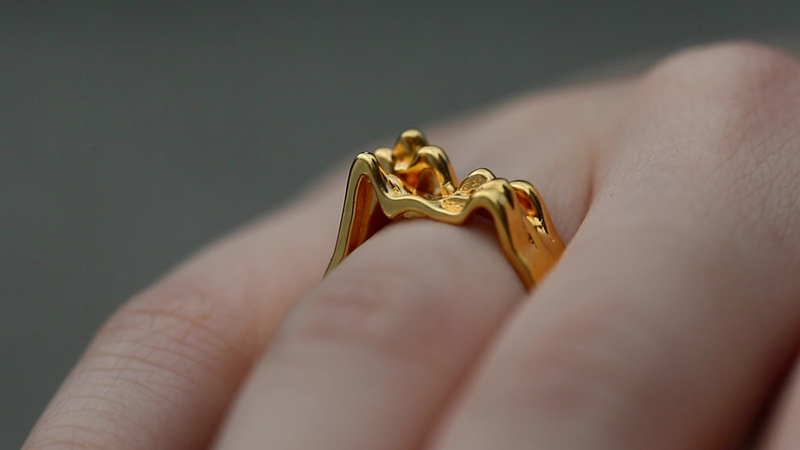 Each unique design is brought to life through a high-resolution 3D wax printer, and molded and coated in one of the three available finishes. 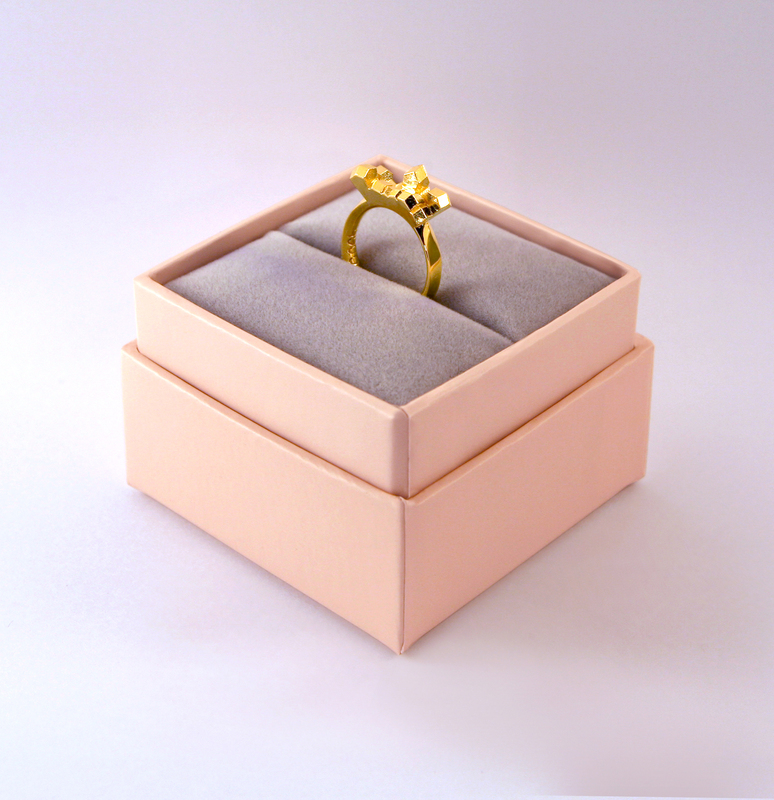 The Crafted By My Heart project was developed at DDB Group Hong Kong by creative director Marcin Brzezinski, senior art director Colin Siu, creative technologist Manolis Perrakis, head of strategy and innovation Andreas Krasser, project manager Billy Cheung, and account director Koman Ko, working with Tribal Worldwide Singapore project director Jean Kim and head of technology Weelee Yeo, and jewellery designer Weelee Yeo.